The HTTP Archive Report collates information from almost half a million of the web’s most popular websites. The latest figures indicate that average page weight has increased by 15% in one year to reach 1,953Kb — a little under 2Mb — and comprises 95 individual HTTP requests. While this is smaller than the 32% increase in 2013, it remains cause for concern. These are average figures; a large proportion of pages will have greater file sizes. A 2Kb rise for HTML seems reasonable although it’s a significant quantity of content given the trend for simpler, more concise text. 27% of sites continue to use Flash — a fall of 5% over the year. The majority is used for advertising, video, and games. Flash hasn’t dropped as fast as expected but its future is clear. There’s been a 9% increase for “other” files. That figure doubled in 2013 but, back then, custom fonts and icon fonts were relatively new. Pages contain more than fifty images, which seems excessive. Retina accounts for a relatively small proportion of devices. SVG, icon fonts, and CSS3 effects can replace many images. There are numerous tools to help reduce file sizes. 95 HTTP requests are made per page — a drop of a single request from last year. 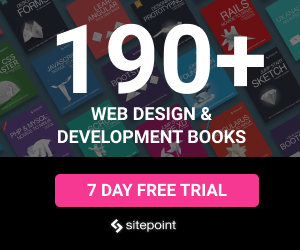 Pages contain 862 DOM elements. Resources are loaded from sixteen domains with a maximum of 52 requests per domain. The average PageSpeed score is 78 out of 100 — which is surprisingly good, given the bloat. 46% of pages use Google libraries. 47% of pages use custom fonts. 79% of responses are compressed (gzip’d). 14% of pages are loaded over HTTPS. 20% of pages use localStorage. 65% of pages use iframes (mostly videos and advertising). 74% of pages use at least one redirect — which seems high. A 15% increase is less extravagant than the 32% rise in 2013 and the 30% rise in 2012, but it’s still too much. Has your bandwidth increased more than 15% in the past twelve months? A third of web users now use mobile devices — will they appreciate the additional weight? Users have a slower experience. It doesn’t matter how great your site looks — people will not wait. There’s little point creating a site that works on mobile devices when your pages are 2Mb. Responsive Web Design != a responsive website. Are you losing up to a third of potential customers? Google will downgrade your site and harm your search engine optimization efforts (though we’re never sure exactly how much this matters to Google’s algorithm). Your hosting costs will increase. The more code you use, the more likely it will break. Updates and maintenance are more difficult, take longer and cost more. It’s ironic that web developers praise the benefits of cross-device HTML5 apps when a single page is often larger to download and slower than an equivalent native app. Overweight pages are unnecessary. My primary suspects remain bloated CMS templates and frameworks. They offer a cheaper and quicker development route at the expense of quality, efficiency and performance. Many are packed with features you’ll never use, but removing them can be laborious, tedious, and time-consuming. Whether it’s technical boundaries or a failure to explain issues, it’s still laziness. We work at the coal face; the final decisions are ours alone. Why create a badly-optimized site when many bloat-blasting solutions are simple and take minutes to implement? Clients rarely appreciate the efficiency gains we make but they don’t understand anything we do. We are the experts, and minimizing page weight is an essential part of the job. Do it. It’s easier to beg for forgiveness than to ask for permission. Are you concerned by the web obesity problem? Are you pleased the scale of increases has dropped? Do you or fellow developers struggle to implement optimization techniques or to explain them to clients? Do you think there are other causes? Is Craig being too simplistic and shouty?! I'd also think it's because more and more people are using frameworks - all that added code. That was my original thought when this was posted. Media queries are probably mixed in there also. I blame framework bloat and overuse of scaffolding as well. I cringe whenever I look at the CSS source of something cool, only to see something as simple as a box with a title drowning in 300 lines of CSS, with the same color and other attributes overridden 3, 4, 5 times. The typical workflow now is start with a framework, then another theme/style, then a master file, then an override file, etc etc. Don't touch the master, just customize in an override. I almost wish we could go back to the old days where we, shock, just style the site directly as it's supposed to be, and not have to constantly override CSS that isn't used in the first place. I believe a rise in simple, minimal CSS frameworks will come back, with technologies like SASS and SCSS allowing us to style sites and generate single-level CSS that doesn't not require overrides and bloat. Either that or we'll see a resurgence of designers wanting to build all custom CSS again, and a slew of tools to allow quick style development. That's all a bit depressing. I think the point about the laziness and dependency on ready-made, bloated solutions is absolutely spot on. At least now we all know what our resolutions should be for 2015! project schedule and budget do not allow me to optimize the website for fast laoding ,if i spend a month optimizeing one single project than i should complete in the street because i wont be able to pay my rent with what clients offer this days.